Middleton, WI – July 26, 2011 – Extreme Engineering Solutions, Inc. (X-ES) announces the immediate availability of the XPedite7332, a conduction- or air-cooled, 3U CompactPCI Single Board Computer (SBC) with up to 8 GB of soldered DDR3-1066 ECC memory, an Intel® Core™i7 processor, and Intel QM57 chipset. With a dual-core Intel Core i7 processor and 8 GB of memory, the XPedite7332 is an ideal platform for running server-class applications and virtualization software. For customers concerned about security and ruggedization, the XPedite7332 offers an alternative to commercial servers. 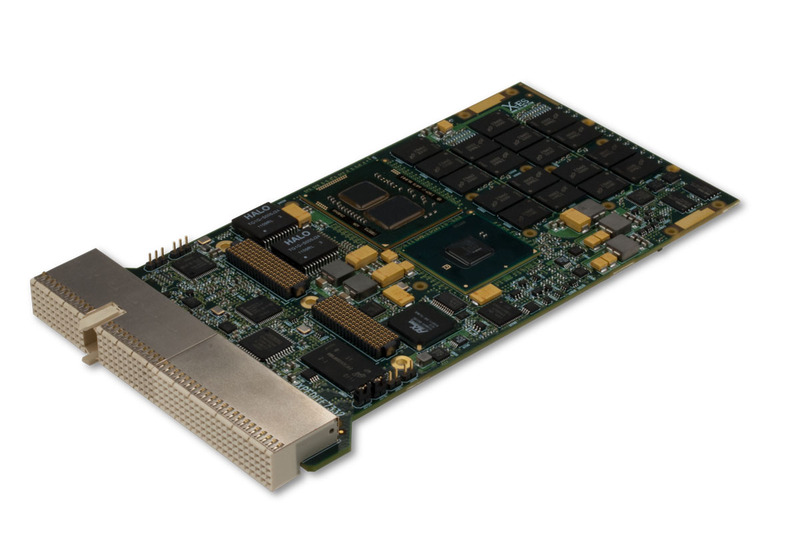 For memory hungry applications, the XPedite7332 provides server-class performance in a rugged, 3U CompactPCI form factor.